Our current Forest Fire is a 1986 Chevrolet M-Deluxe Miitary 4x4. It has a 125gpm pump and carries 300 gallons of water. 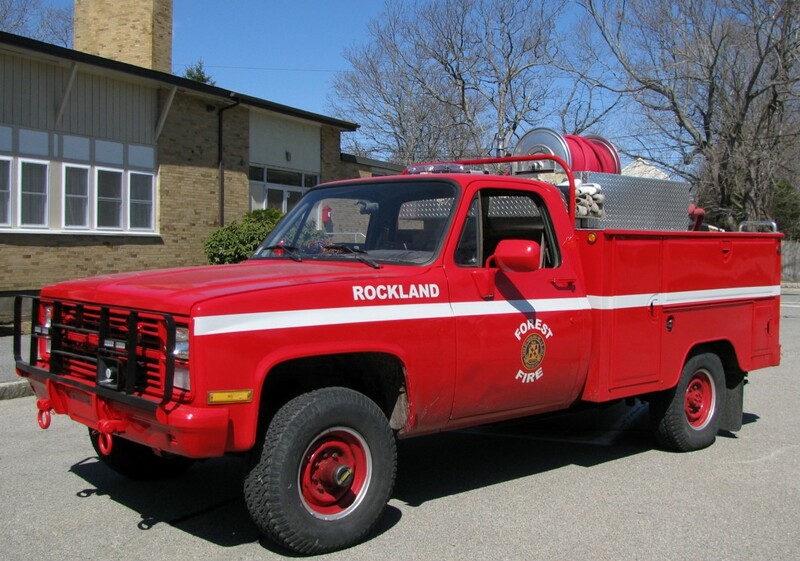 It was surplused by the Navy and converted to a Forest Fire truck by members of the Rockland Fire Department and replaced the previous truck. 1986 Ford custom 250 gpm pump 200 gal. tank in service as the Forest Fire. This is our only 4 wheel drive vehicle and is sometimes used in snow storms to be able to get to calls that our other apparatus is unable to make it to. It is also used to pull our rescue boat and is our only vehicle with trailer hitch.